Been thinking lately a lot about emergent mechanics and how to build and design for it, and had thought back to... When was the first time I experienced it without having a name for it? 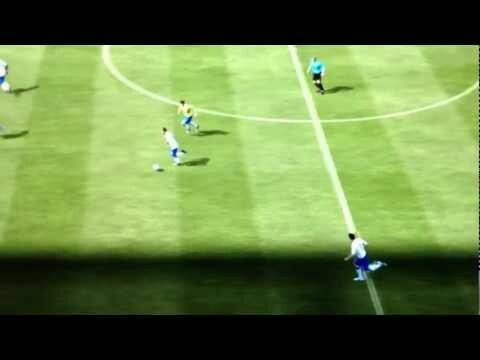 I think it's kinda difficult to judge, as the player which experiences are truly emergent. How do you know weather or not the developer just designed it that way? It would however also be interesting to hear about emergent gameplay while people were busy developing games. I'm sure games like Desktop dungeons must have plenty of that going on. The million 1UP tricks in super Mario maybe counted, but that wasn't that interesting. 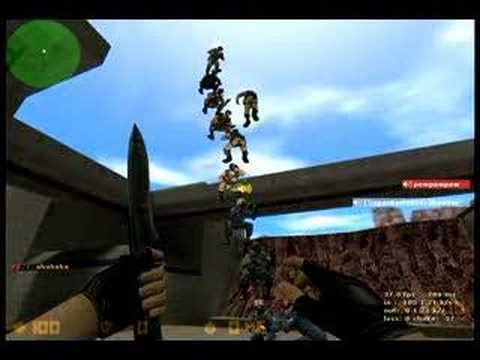 I don't know if this was my first, but I remember playing Counter-strike to the point where we weren't really playing CT vs. T any more, but instead jumping on one another's heads, and trying to get everyone to run at the same time, at the same angle, so that we could have a whole tower of players moving around the map. Tau cannon jumping in half life! Sooooo much fun! We use to play this game to death at school. 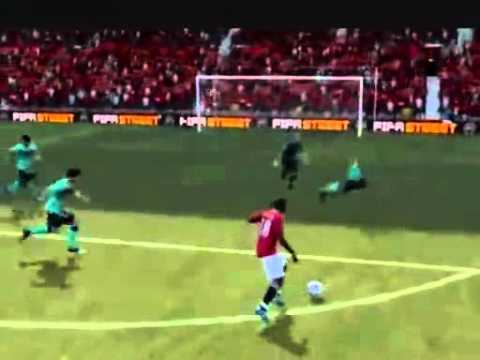 Two football players having an emergent experiences in Fifa 2012. Though I'd have to say enemy in-fighting in Doom was the first time I can recall being truly enthralled by emergence. Jarred just had an emergent experience. We were all fighting Cacodemon's in Death Smashers multiplayer and we discovered that it was possible to stand on top of the Cacodemon's head and surf them!!! (omg). But while surfing his Cacodemo the beast tried to ram him and so flew upwards incredibly fast and so far that both the Cacodemon and Jarred (who had merged to occupy the same space) almost immediately disappeared. Jarred's screen was filled with a crazy spinning view of the level far bellow, until that too disappeared. They transcended their differences and entered Cacodemon heaven (is what we, left watching from below, assumed). He never return.